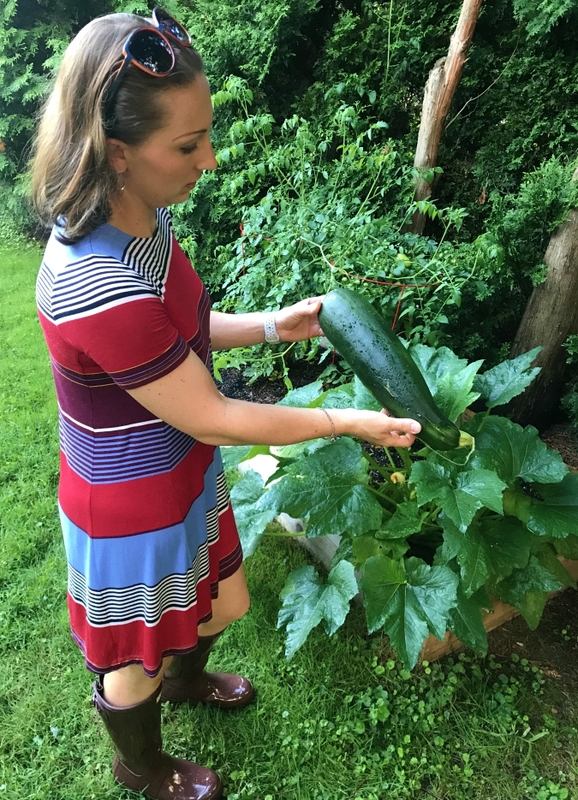 love, laurie: we grew a zucchini!!!!!! last night when we went over to our tomato plant to pick some red cherry tomatoes off the vine, we found that we had a zucchini hiding under the leaves of the zucchini plant. we are thrilled because in previous years our zucchini plants have looked nice but never produced any zucchini. yay!!! Wow, that is a nice size zucchini. Sounds like zucchini bread and a cup of tea. Those zucchini do like to hide from you until they grow to a large size!